Retailers, interior designers, architects, and other professionals come to this event to get a glimpse of emerging design trends. It seems like only yesterday our exclusive team was in the heart of Los Angeles, exploring the booths and interviewing the best and brightest designers at Dwell on Design. Lucky for us, we’re at it again. From July 30 through Aug. 3, House Tipster's Media Team will descend on Las Vegas for the bi-annual Las Vegas Market expo. Over the next few days, we plan to bring you the latest news in home decor, furniture design, and more from the show. Here are some basics about Las Vegas Market and what you can expect from our coverage of the event. 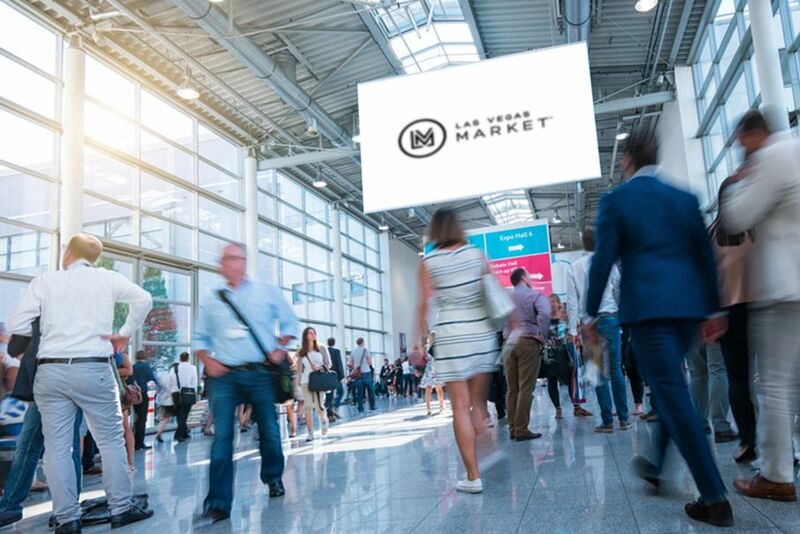 Located in the World Market Center campus on Grand Central Parkway in downtown Las Vegas, Las Vegas Market has become the largest convention for home and hospitality designs and furnishings west of the Mississippi River. Not surprisingly, the event has grown exponentially since its inception in 2005. Over the past 10+ years, vendors at Las Vegas Market have showcased everything from new furniture designs to home decor trends and innovative gifts for an audience of retailers, designers, and other industry professionals. The World Market Center complex itself is gigantic (it’s over 5 million square feet) and includes three separate buildings, a courtyard, and a temporary structure named “The Pavilion.” Although expansive, the center was built with efficiency in mind. Therefore, attendees can easily visit all the vendors over the course of the five-day event. Don’t worry. We’ll be bringing our walking shoes along for the journey! The main feature of Las Vegas Market is, of course, the 4,000+ exhibitors. Retailers, interior designers, architects, and other professionals come to this event specifically to get a glimpse of emerging design trends in a variety of exhibit categories. While no means an exhaustive list, the exhibits at Las Vegas Market include products such as fashion accessories, home furnishings, garden and patio ornaments, fireplaces, spa accouterments, rugs, light fixtures, etc. And that’s just the tip of the iceberg! As you can imagine, we’re extremely interested in browsing the wares of the home improvement and design vendors. We’re eager to visit the booths of kitchen and bathroom fixture vendors like Kenroy Home and Kalco Lighting. And since we love flooring so much, we can’t wait to check out the collections from Kalaty Rug. Sure, we could definitely spend all weekend talking with the vendors, but Las Vegas Market offers more than just exhibits. There are also some on-site seminars, continuing education sessions, and opportunities to network with designers and brand representatives across the industry. Topics ranging from design for Millennials to the science behind flame-retardant materials will be discussed over the course of the event. Also, we don’t plan on missing mixers like the Meet the Makers luncheon, which features five well-known artisans and their take on the industry. As you can see, we’re really excited about Las Vegas Market. If the thought of attending this exclusive event gives you all those “happy feels,” then stay tuned for more information on the latest trends in decor, design, gifts, and more from the expo. And if you haven’t already, “Like” us on Facebook to get updates on our interviews and coverage in real-time. Are there any products you’re dying to hear about? Let us know in the comments below!